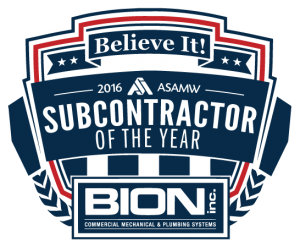 Behind the Walls: Inova Fairfax Professional Services Building – BION, inc. 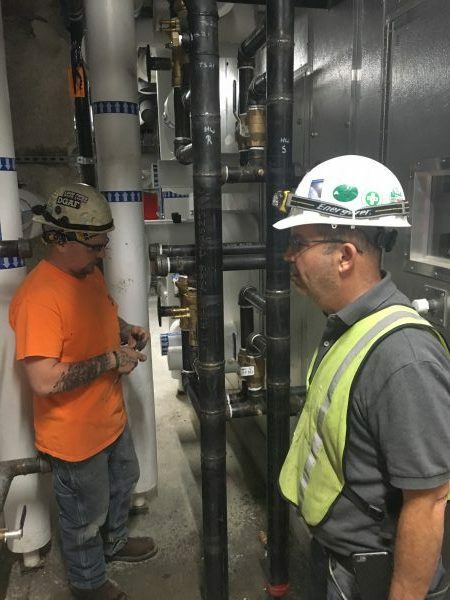 If you were to take a peek behind the walls at any hospital you would see a network of pipes and lines that perform a multitude of duties: Some piping brings in clean water for drinking and personal hygiene. 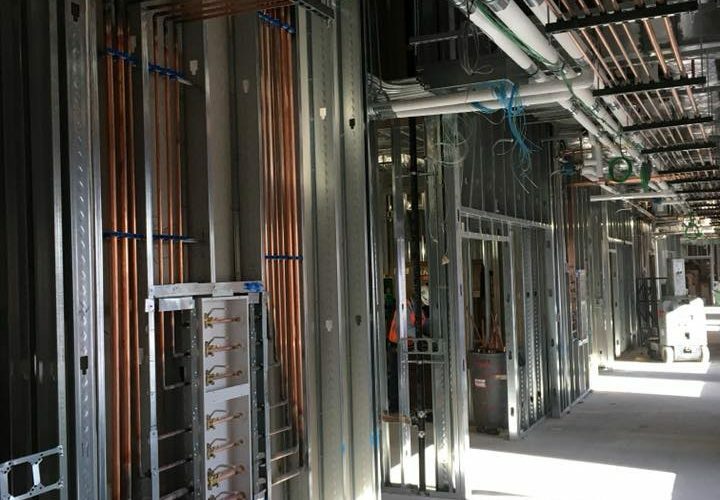 Another maze of piping and ductwork regulates building temperature, keeping staff and patients comfortable. 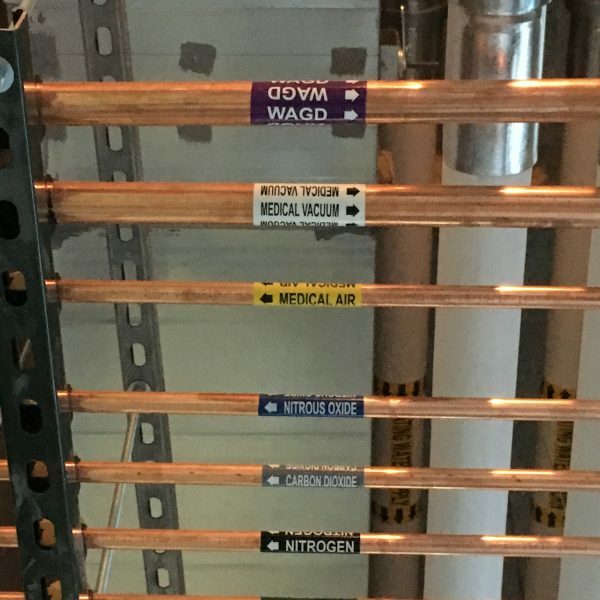 Other lines supply medical gases for surgeries. 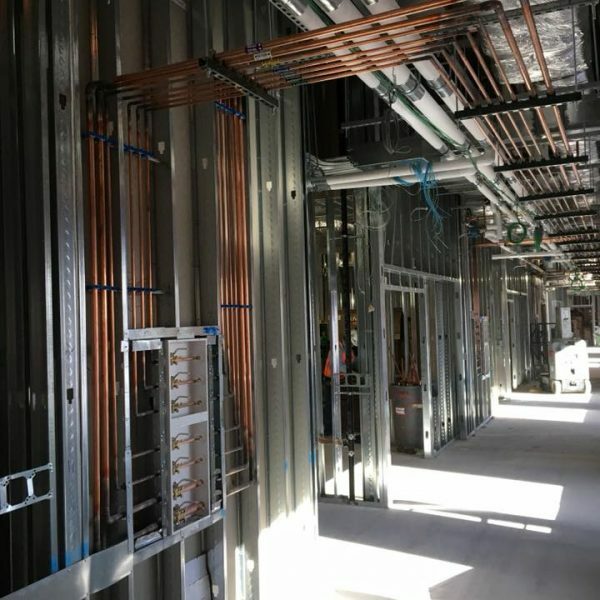 BION is proud of the “behind the walls” work we do at hospitals throughout the Washington, DC Metro area, such as this medical gas work in the new Inova Fairfax Hospital Professional Services Building.